KaBeeLo’s Fly-out fishing/hunting in northwestern Ontario invites you into the thick of unspoiled wilderness. 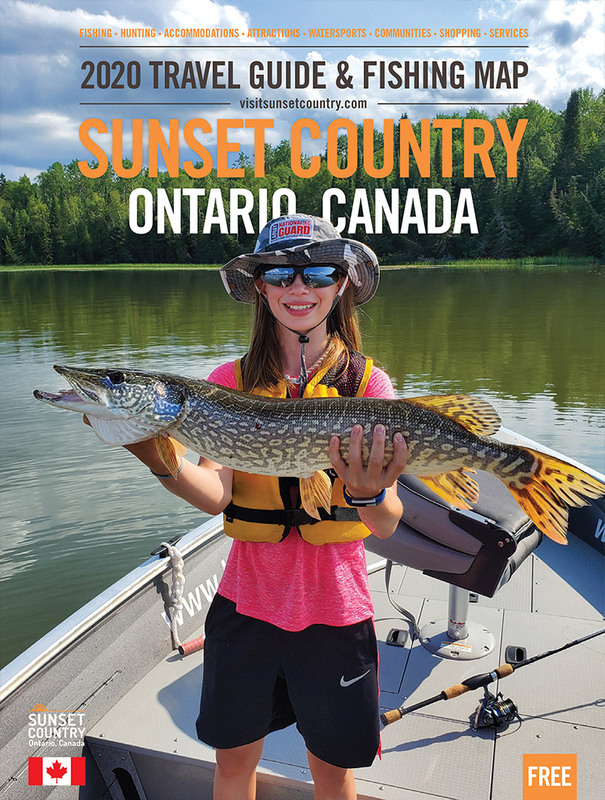 Surrounded by Boreal forests, you’ll find coastal headwater rivers and inland waterways that are chock full of walleye, northern pike and lake trout. Located centrally to both the United States and Canada, in northwestern Ontario, KaBeeLo Lodge & Resort is a 6-hour drive north of International Falls, MN. KaBeeLo is a family owned and operated business, comprised of the main base and an expansive network of 13 pristine outpost lakes, all with breath-taking views and all with fully-equipped private lakeside cabins, docks and boats. These unspoiled jewels of nature are perhaps the premier fishing, hunting and family vacation spots in North America. American Plan Lodge: Kabeelo Lodge on Confederation Lake offers American Plan packages for your Canadian vacation. Plans include lodging at our main base camp plus home-cooked meals in our dining hall and more. Cabin Rentals (Housekeeping): We have well maintained housekeeping cabins which are outfitted with bunks and mattresses, wood burning stoves, propane cooking stoves, propane fridges, lights, dishes, pots & pans and cooking utensils. Outpost: Fly into a remote wilderness cabin from our base camp on Confederation Lake. Our fly-in outpost cabins are kept in great condition and we supply the food. Walleye: Walleye at KaBeelo Lodge's remote fly-in outpost lakes can be caught on fuzz-e-grubs, lead headed jigs, road runners, Rapala's, and spinner jigs. Northern Pike: Northern pike fishing at our fly-in outpost lakes such as Allison, Bear Paw, Jubilee or Margaret lake will give you a great fishing vacation. Lake Trout: Fishing for lake trout at our fly-in outpost lakes in Northwestern Ontario, you can use Sutton spoons, Canadian wiggler, K-B spoon, Swedish pimple, Dr. Spoon or lead headed jigs. Perch: Your fly-in outpost fishing trip would not be complete without a Canadian shore lunch and perch are a great pan fish. Moose: Your Canadian moose hunts with us are complete in every way. All you have to bring is your weapon of choice and purchase an Ontario moose hunting license. Black Bear: KaBeelo Lodge on Confederation Lake offers you the chance to hunt our large bear management area for black bear in the Ear Falls area of Northwestern Ontario. Grouse: If you enjoy bird hunting Northwestern Ontario is great for ruffed grouse hunting, with our many logging roads there are ample areas to find grouse.